Cell cycle mechanisms are highly conserved from unicellular eukaryotes to complex metazoans including humans. Abnormalities in the regulation of the cell cycle result in death or diseases such as cancer. Early development of sea urchin has proved to be a powerful model for cell division studies and offers the opportunity to study synchronous cell divisions in the absence of transcriptional control. We have analyzed pesticide-induced dysfunctions in the first cell division following fertilization in sea urchin embryos, using Roundup, a widely used pesticide formulation containing isopropylamine glyphosate as the active substance. The pesticide induced cell cycle dysfunction by preventing the in vivo activation of the universal cell cycle regulator CDK1/cyclin B. We further show that synthesis of the regulator protein, cyclin B, as well as its association to the catalytic protein, CDK1, were not affected by the pesticide. 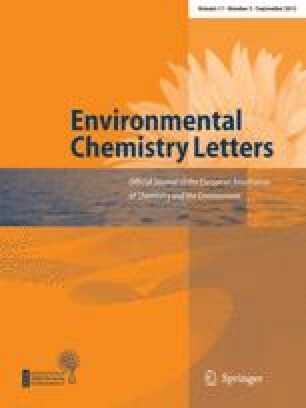 Therefore, our results suggest that the pollutant impedes the processing of the CDK1/cyclin B complex, which is required in its physiological activation. Our studies demonstrate the relevance of sea urchin embryonic cells as a sensitive model to assess pesticide toxicity at the level of the universal cell cycle checkpoints. R. Belle can also be reached at http://www.sb-roscoff.fr. We are very grateful to Sandrine Boulben and Cecile Maguer for their expert technical assistance. This work was supported by Conseil Régional de Bretagne, Les Fonds Européens de Développement Régional (FEDER), Association de la Recherche contre le Cancer (ARC) and Ligue Nationale contre le Cancer.